Angela is a poet. She is also an experienced teacher and holds Masters degrees in English Literature and in Arts in Education. She leads workshops with all ages from nursery to elders, building confidence in their ability to write, tell stories and make books. She enjoys giving readings of her poems, and putting together performances and one woman shows. Widely published, she has performed and been poet-in-residence in a wide range of venues such as schools, libraries, bookshops and hospices. In October 2013, she took up a residency in Gladstone’s Library, Hawarden. In 2011, a quotation from one of her poems appeared on the National Poetry Day poem cards and the same poem featured in the athletics area of the Olympic stadium during the Games. 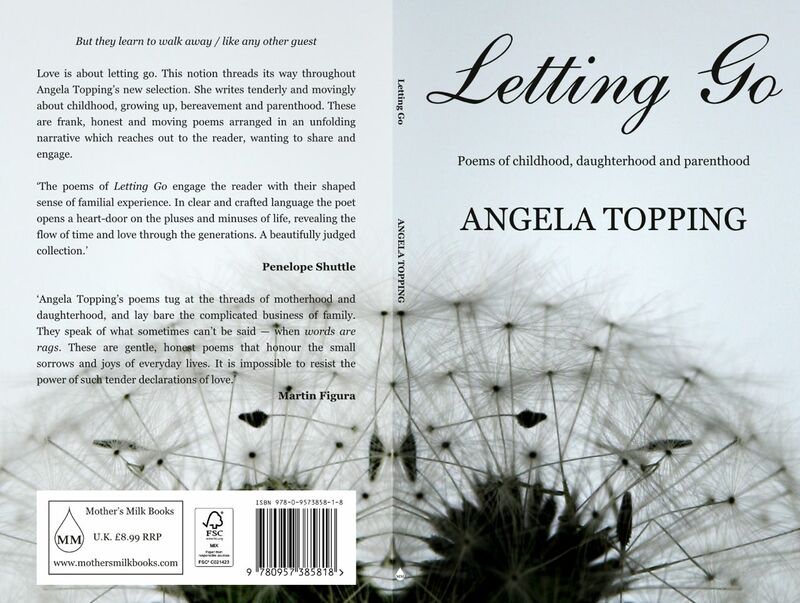 In 2014, one of her poems, ‘Little Houses’ was featured on the National Poetry Day website. She was Highly Commended in the Cheshire High Sherriff’s Prize for Children’s Literature, with the only poem to be placed in the top five entries. In 2011, she was shortlisted for The Bridport Poetry Competition. In 2013, she won first prize in the Buzzwords Poetry Competition, judged by David Morley. Poems have appeared in a range of journals including Poetry Review, The Dark Horse, The North, Stand and London Magazine. 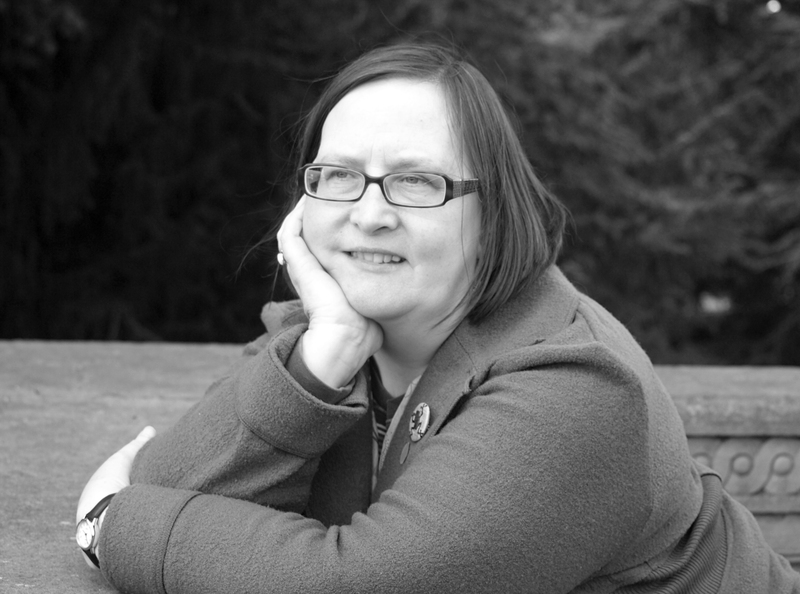 Angela can be booked independently, or though Authors Abroad, The Windows Project and NAWE. She has judged several competitions, including one run by a leading examination board for all GCSE students, and several adult competitions, including two pamphlet competitions. For three years she was an adjudicator for the Silver medal verse-speaking awards for The Poetry Society. Angela also writes student guides and articles. She co-authored a range of GCSE texbooks published by OUP and several critical monographs published by Greenwich Exchange. qualified secondary school English and Drama teacher, and former Head of Literacy and Oracy at Upton Hall School. poetry magazines/journals including Poetry Review, London Magazine, Critical Survey, Smoke, The North, The Dark Horse, The Interpreter’s House and The Reader. Her first solo children’s collection is published by Salt, entitled The New Generation. Her solo adult poetry collections are Dandelions for Mothers’ Day and The Fiddle, both from Stride, and The Way We Came from bluechrome. 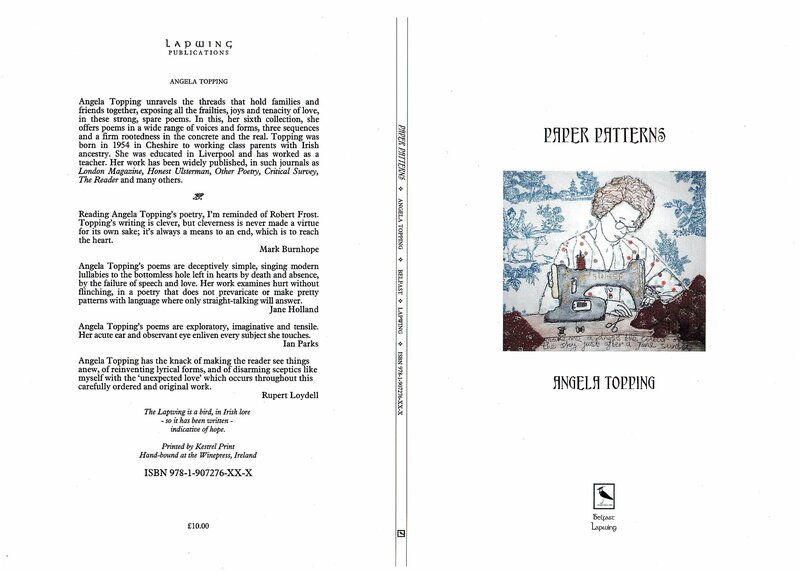 Angela’s latest collections are Paper Patterns (Lapwing 2012) and Letting Go (Mother’s Milk Books 2013). In 2011, four chapbooks were published. 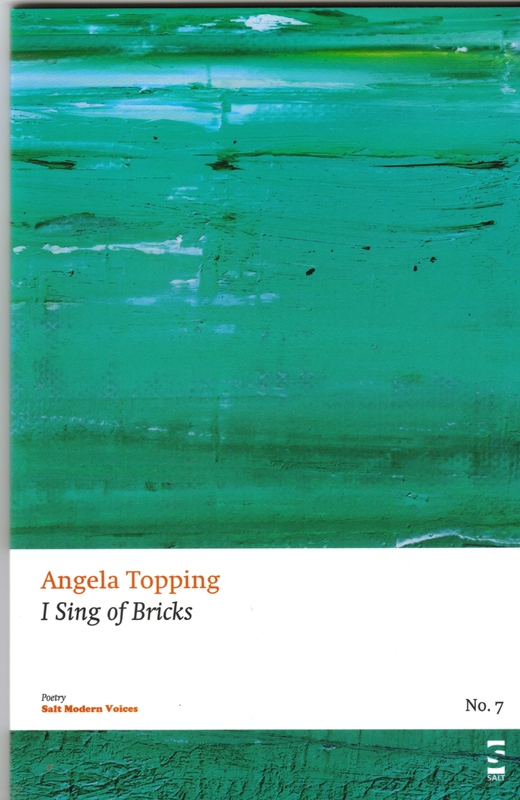 I Sing of Bricks is in the Salt Modern Voices series, Catching On is a ten poem elegy for Matt Simpson published by Rack Press, Kids’ Stuff is a further children’s book and The Lightfoot Letters was compiled to accompany an exhibition with textile artist Maria Walker, based on a 1923 bundle of letters, which were purchased by Maria before she met Angela, but turned out to have been written by Angela’s father’s family. The latter two chapbooks were published by Erbacce. Her most recent chapbook, Hearth, was a collaboration with poet Sarah James. It was published by Mother’s Milk Books in 2015. It was launched at Cheltenham Poetry Festival, and one of the poems, ‘Crow Lines’, was commended in their Compound Poem competition. Her eighth collection is The Five Petals of Elderflower (Red Squirrel Press 2016).